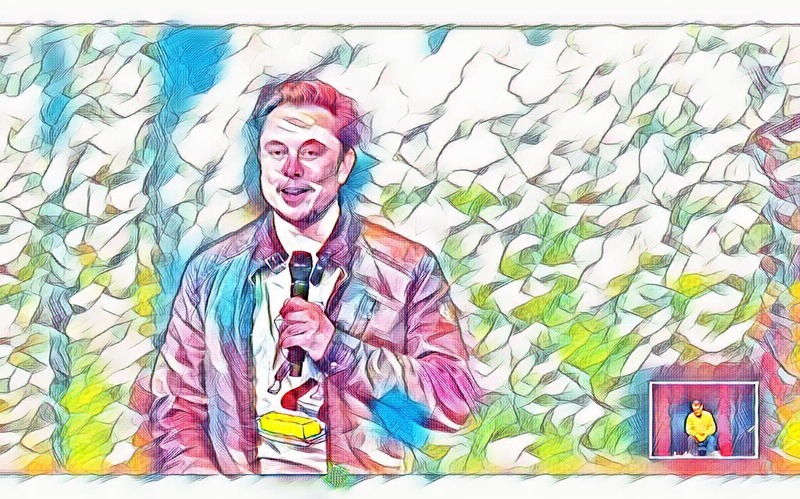 I just published 11 highlights from yesterday’s 2018 Tesla shareholder meeting. I cut off right around the start of the Q&A session — tweets plus live Q&A. This article continues that initial list to include 17 more highlights. In this case, we have no charts from Tesla, but the highlights may be even more interesting. As usual, Tesla CEO Elon Musk shared more details than we could have hoped for, supplemented here and there by CTO JB Straubel, CFO Deepak Ahuja, and Chief Designer Franz von Holzhausen. 1. Tesla has partner companies in every major market to help with battery recycling, and the company is also working on R&D on this topic to try to maximize how much they are able to extract from old battery packs. The end goal is a closed-loop system at gigafactories. 2. The company has an aim to make Tesla Model 3 insurance costs 20% to 30% lower than for a BMW 3 Series or equivalent midsize sedans. 3. Tesla is still aiming to start making the smaller version of the Model 3 battery pack later this year, and then get into volume production of the $35,000 Model 3 Standard in Q1 of 2019. 4. A new version of Tesla Autopilot is rolling out this week. The reliability and capability of Autopilot will increase exponentially over the next 6–12 months, Elon thinks. 5. If ordering a Model 3 with the currently available configuration right now, the wait is probably 3–4 months. (That is, if you put a reservation down right now.) However, in a right-hand-drive market, that wait is more likely one year or so. So, depending on what kind of Model 3 ordered, the wait could be anywhere from approximately 3–15 months if you put down a reservation today. 6. There are currently 2 lines for Model 3 general assembly, and Tesla is in the process of constructing a third line for this. Furthermore, Elon thinks the third line is “dramatically better than lines 1 and 2.” Tesla started construction of that third line approximately 2 weeks ago and is already putting the first car through that line. This is a big part of getting to 5,000 cars per week since general assembly is one of the main bottlenecks to faster production. Producing 5,000 units per week is probably possible with just the first two lines, but Elon considers doing so quite easy once the third line is up and running. 7. Tesla Model 3 test drives are probably going to be available at the end of this month, and available in all stores across North America by the end of next month. 9. Seemingly going against what Elon had said before, he noted in response to a question on the topic that he thinks Tesla will produce a compact car in less than 5 years. 10. Tesla will probably start offering leasing on the Model 3 at the end of the year or beginning of next year. 11. Elon didn’t seem bullish on the idea of using SpaceX’s Starlink network for in-car internet. 12. Version 3 of Tesla’s Superchargers will be much more integrated with batteries and solar. Eventually, Tesla would like all of its Superchargers to have solar and storage. 13. Elon sees a potential 3–4 time improvement in Supercharging speed, if the car has the right battery chemistry to take such a charge. 14. Tesla expects to offer cars with ranges in excess of 400 miles “down the line.” It’s not clear when exactly that could be expected. 15. Tesla Model Y won’t have any leather in it. It also may not have a steering wheel, which is the last component of Tesla cars using leather. 16. Tesla can see a path to a 30–40% improvement in energy density in its battery packs. Elon expects 2–3 years to get to a 30% improvement in volumetric energy density, and more vaguely estimates 6–8 years to double volumetric energy density. Making a lithium anode is key for that really big jump, he says. Yes, I left the translator in the image on purpose.